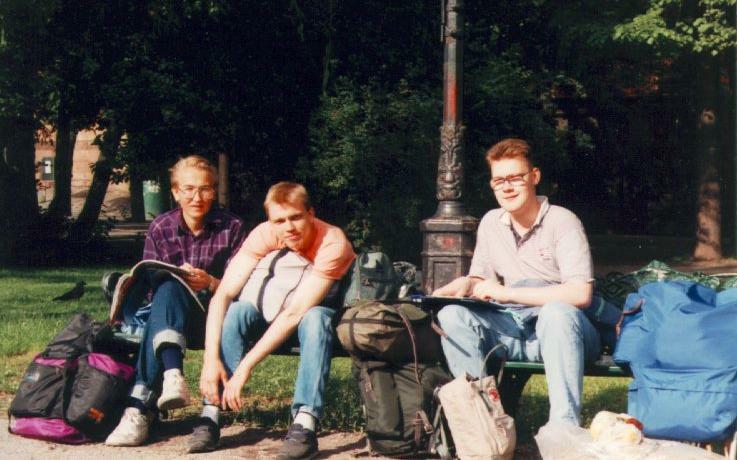 interrail.jpg:757x457x256 3/4 of our Interrail team in Stockholm, on the second day of the journey (July 1st, 1991): Juha (left), Markku (center). Mikko (right). 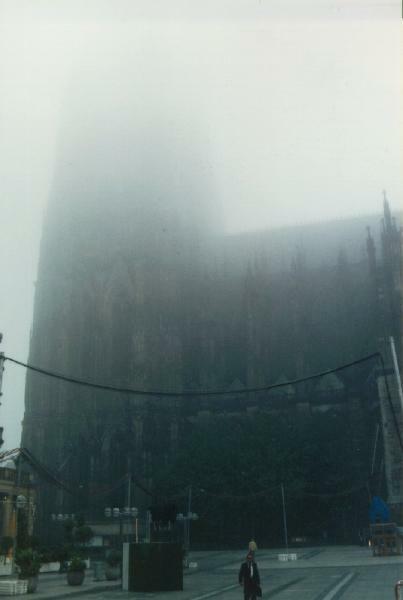 koeln.jpg:693x1008 The church of Koeln in the morning of the third day. We arrived here at about 7am when most of the shops were closed. The church was like directly from Batman - huge, dark and bathing in thick mist. rheincastle1:1045x669 The courtyard of a castle by the Rhein in Xxxxxxx. 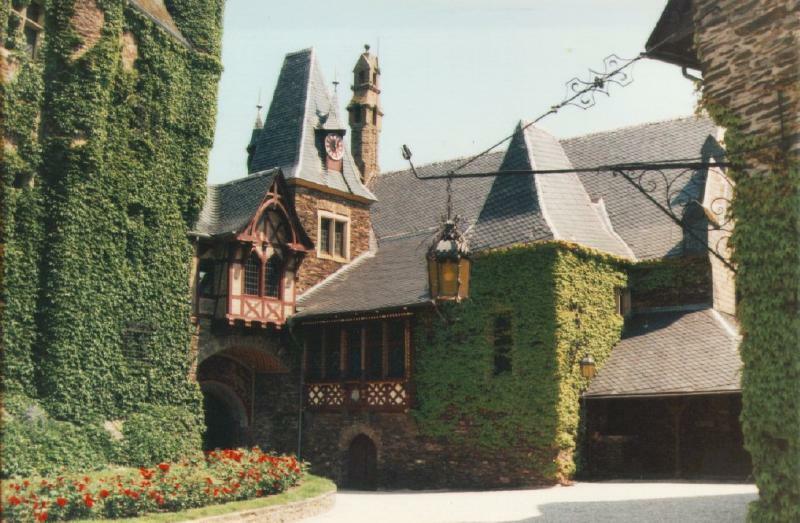 shwangie1:1043x666 Another youth hostel-castle by the Rhein. Me (left) and Mikko. rhydesheim:1045x669 The castle of adventure! 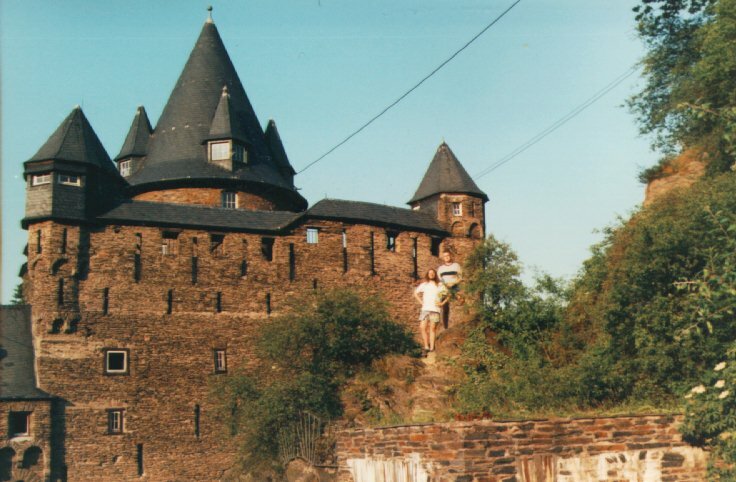 We travelled to Rhydesheim by foot for some sick reasons from the previous city by the Rhein. From the other side of the river we could see this beautyful castle and we decided to visit it. 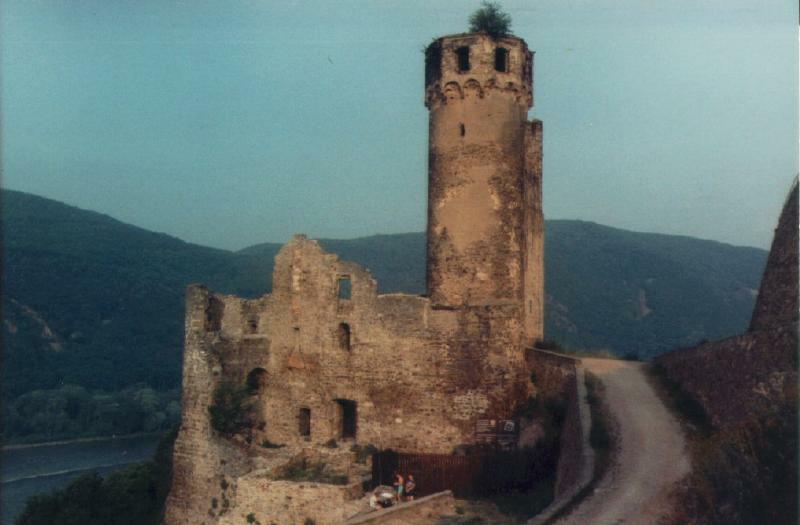 After crossing the river by a raft and shopping a little, we walked our way to this castle (called Ehrenfels castle, as we much later found out). We could not have taken a worse route - first we walked 2kms on highway. Then we jumped over a very dangerous railroad and after that climbed about 200 meters of 45 degree bank. We had planned to sleep in the castle, but when we arrived, we noticed that there already was some people inside the castle, so we decided to sleep outside. Our biggest problem was that we didn`t have even one glass of water or any other liquid and it was a long night and a long journey back. During the night one of us walked to the city, climbed over the fence of a camping site fully dressed in black, and got us a plasticbag full of water. Njam. In the morning we noticed that the castle was under repair and from the castle lead a good asphalt road straight to the city. AAARRRGGGHH! 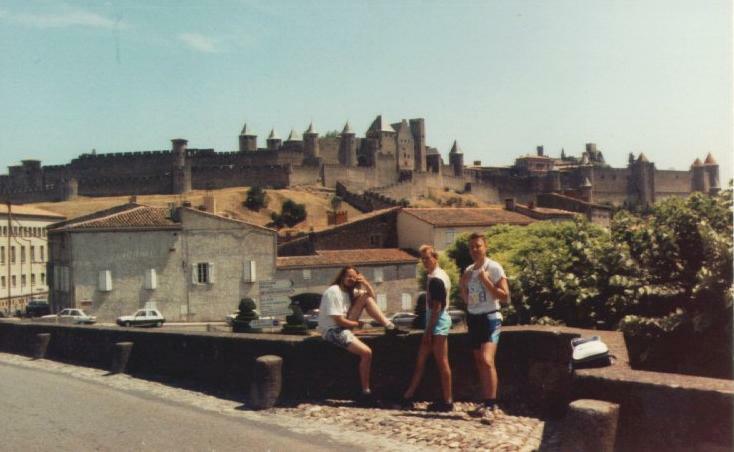 carcassonne:757x475 Me (left), Markku (center), Mikko (right), Carcassonne el Cite' (background). gibraltar:1016x672 The Chief Monkey of Gibraltar (or so the guide told us), sitting on a wall by the road leading to the monkey garden, looking to Africa. 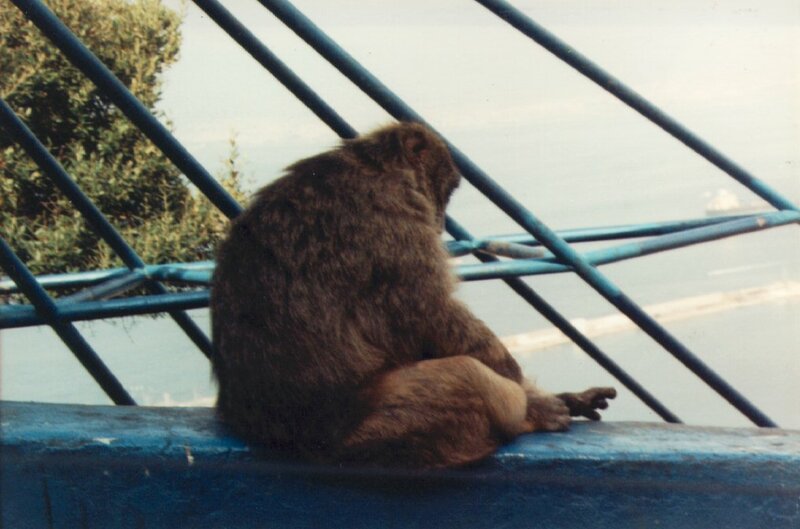 The monkeys moved freely around and when we were in the monkey garden, I kneed down to dig more film from my backpack. Suddenly one little monkey ran from a gate and came to see what I was looking for. It put its tiny hands on my pack and I hand to hush them away with my hand. Cute.